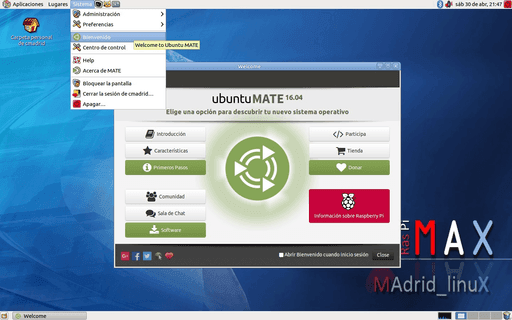 RaspiMax is a Ubuntu MATE16.04 Raspberry Pi distribution based on a desktop distro with the name MAX, but adapted to the Pi thanks to Fernando Asanza Fernaud. It works on the Raspberry Pi 2 and 3. It comes in Spanish with two flavors: Oriented to education (with applications and need at least 16 GB SD card) or or without it. I let you with the link and a blog from their author Fernando dedicated to the world of SBC with some other interesting project and captures.